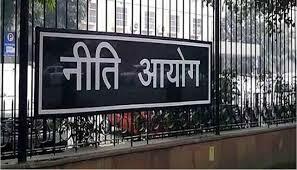 New Delhi: The Ministry of Housing and Urban Affairs has decided to give the responsibility to NITI Aayog to review the progress of standardization and indigenization of metro rail system. Metro rail system is being set up all over the country. According to the Ministry, the purpose of this initiative is to speed up the government’s ‘Make in India’ campaign for the implementation of metro rail projects in the states. An official said that the standard of the engine compartment, signal system, and telecommunication system has been standardized. An official said, “It has been decided that the members of the NITI Aayog will review the progress of standardization and indigenization of the metro rail system. Ministry will ensure timely progress. Significantly, Prime Minister Narendra Modi had approved the setting up of a committee under the chairmanship of ‘Metro Man’ e-Sreedharan to fix the standard of the metro rail system in the country. The 22 projects in Delhi, Bangalore, Mumbai, Lucknow, Chennai, Nagpur, Pune, Kochi, Ahmedabad, Noida-Greater Noida, Hyderabad, Jaipur, Kolkata, and Gururam are being operated in the Ministry of Housing and Urban Affairs. The Ministry said that the fourth phase of the Delhi Metro will be completed by December 2020 and the second phase of the Bangalore Metro will be completed by 2021. At present there are total 160 metro rail systems which cover the total length of approximately 10,000 km, this is operating throughout the world, mostly in Europe and North America. Even though such metro rail systems are very few on the African continent which is also an indirect reflection of the development status of the region. The situation of the metro is far better in Asia. In Asia, China and India are two countries where the metro rail network is expanding very fast. In India, there are 15 major cities with a population more than 3 million have already been or are being provided with metro rail (with a total metro rail corridor length of approximately 750 km) and are under different stages of planning and/or construction. Metro rail systems are being aimed to provide an efficient public transportation system and also to improve the urban traffic conditions, air, and noise pollution situations there. Such kind of plan will really help in the metro sector.